Fungus or Just Dry Toenails? If you’re wondering whether your unsightly toenails are caused by a fungal infection or they are just dry, traumatized nails, you’re not alone. 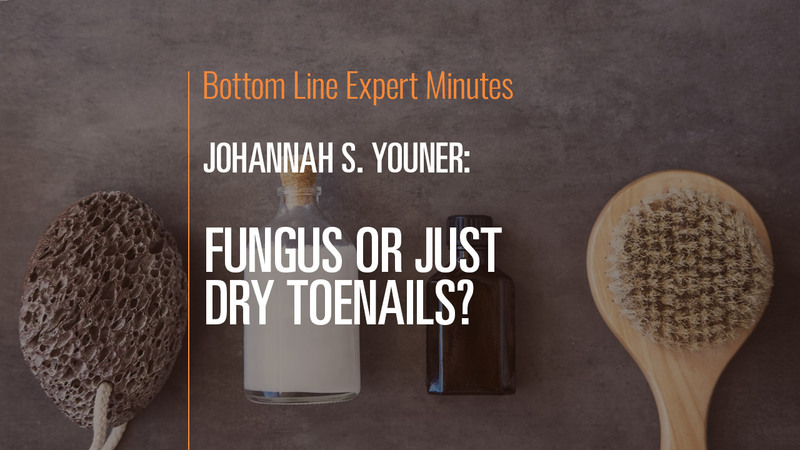 In this video, Dr. Johanna Youner, board-certified podiatric surgeon and a Fellow of the American College of Foot and Ankle Surgeons, explains that both conditions are very common. The telltale signs of fungal infection include yellow, thick and uneven toenails, a bad odor and white material underneath the nails. A podiatrist can perform a nail biopsy to determine whether or not a fungal infection is present. Even if it isn’t a fungal infection, traumatized nails can become infected, so be proactive when caring for nail injuries. Finally, use almond oil, tea tree oil or another anti-fungal agent to moisturize nails and keep them healthy while preventing the growth of foot fungus.